A sturdy grip on the asphalt is essential to providing you with peace of mind. If you’re behind the wheel of an intelligent automobile, like a member of the BMW lineup, any obstacle or weather condition will be met with the strength of the intuitive xDrive All-Wheel system. To help drivers of Westchester County, White Plains, and New Rochelle get a little more familiar with the various aspects of this road-gripping system, we’re here with our 2018 BMW xDrive review created by the experts at BMW of Westchester. That way, you’ll sail down your path knowing that every inch of your BMW model is designed to keep you glued to the highway. From slippery weather to uneven pavement, and everything in between, the road can become an obstacle course when you least expect it. So, instead of worrying about what you’ll experience on your next journey, drive confidently with the assurances of BMW xDrive. This intelligent all-wheel drive system equips you with numerous backups when your BMW sedan or SUV begins to lose traction. During normal driving conditions, this device will also maintain a steady flow of power to only the rear wheels. However, the moment your car detects excess slip, the system directs traction control to the front wheels or the wheel with the best footing. In addition, this technology reacts in mere seconds, which means that you’ll hardly notice your automobile working hard to keep you out of harm’s way. Also included in several BMW vehicles is variable torque split functionality, which serves up a smooth drive even during rainy weather. So, if you’re one for a spine-tingling jaunt along the open highway, this gadget will have you surging through those tight turns like an expert speed racer. On top of that, the available Dynamic Performance Control feature found in some BMW models increases your steering response and cornering ability to help you move up a steep hill or slippery slope like an expert. The most effective ride in your car can only be had when every aspect of your BMW is working in tandem. That’s why BMW xDrive teams up with your automobile’s safety and technology systems to help you stay connected to the road. For example, optional Hill Descent Control works with xDrive to keep you balanced on steep surfaces. Simply select the corresponding button on your vehicle’s console and allow your car to actively brake and reduce your speed to approximately 3 to 6 MPH. Moreover, available City Collision Mitigation utilizes the xDrive setup to steer clear of dangerous situations and ensure the safety of your loved ones. By actively monitoring your surroundings, this feature signals the braking and xDrive systems to engage and avoid an accident with another vehicle or pedestrian. It’s this kind of intelligence that places BMW automobiles at the top of the pack. Test Drive Your BMW Today! At BMW of Westchester, we’re committed to updating you on the cutting-edge tools included in our impressive sedans, SUVs, and much more. 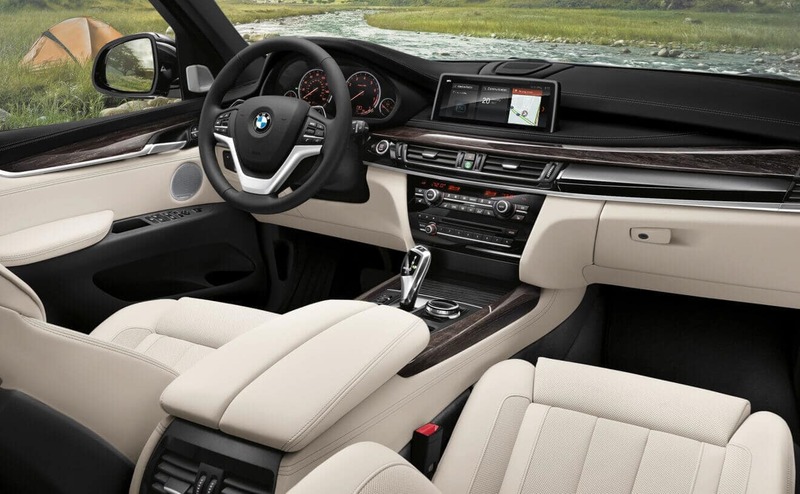 With BMW xDrive as your road-monitoring sidekick for drives through Westchester County, White Plains, and New Rochelle, you’ll always know that your vehicle has your back in any situation. To learn more about this innovative amenity, head on over to our state-of-the-art showroom, or contact our team for more information today!